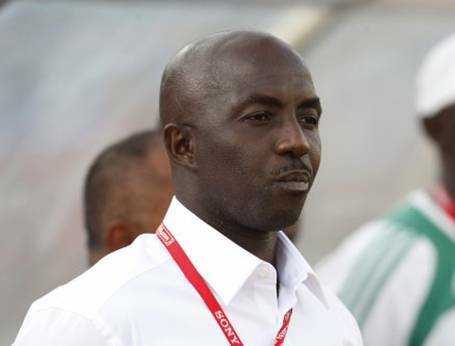 Samson Siasia, coach of Nigeria’s U-23 Flying Eagles team is alleging that the team hasn’t been paid its allowances for the past 9 months. Siaisia says that as a result of this, he should not be held responsible should Nigeria fail to qualify for the Rio Olympics next month, ThisDay reports. 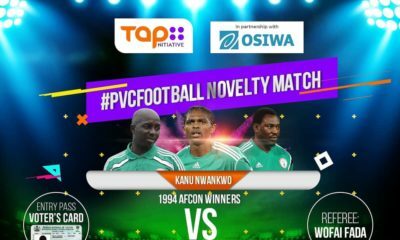 “Nigerians should know that we are not well prepared (for the championship) and I should not be held responsible for whatever happens,” blasted a bitter and dejected Siasia. We are orphans. We have not been paid our bonuses, while the Super Eagles were paid full bonuses even when they drew in Burkina Faso. We have been without allowances for the past nine months. How can you survive in this kind of situation, where you have not been paid for three months, no car, no training kits – we have to wash to wear our kits. It’s embarrassing. We can’t sit down quiet and die. I am tired of this place. The NFF keep saying they don’t have money,” he said. what’s all this? are we so poor that we can’t clothe our best athletes? later now someone will say they shouldn’t run away to Europe etc. Who remembers Bolaji Abdullahi? The first in a long time to make sense at the head of sports government in Nigeria.